OCASI was pleased to present a Lifetime Achiement Award to Sri-Guggan Sri-Skanda-Rajah at our 2014 AGM. Born in Sri Lanka, Sri-Guggan Sri-Skanda-Rajah's social conscience was awakened by the caste system's inequality and gender disparity which limited employment and education opportunities for women. As a teenager in 1958, he had first-hand experience of the ethnic violence and discrimination that Tamil faced in Sri Lanka (then known as ‘Ceylon'). After immigrating to England in 1962 where he studied law, Sri came to Canada in 1975 and has worked tirelessly ever since to end racial discrimination here. Sri worked as a paralegal, helping young black people fight deportation to Jamaica. For 10 years, he presided over a civilian police-reform committee. He paid scant attention to events back home. But when the first wave of Tamil refugees began arriving in the late 1970s, he found himself drawn into representing his compatriots at refugee-claim hearings. He would spend hours debriefing them, then go and cry in his car. Partly, he was frustrated at how much fluency he had lost in Tamil. He was also shocked by their stories. Among the community organizations he has worked with are the Universal African Improvement Association and the Black Resource Information Centre. 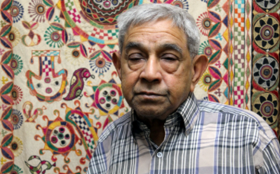 A founder and long-time member of the Greater Toronto Working Group on Policing Multi-Cultural and Multi-Ethnic Urban communities, Sri also served briefly as interim director of the Urban Alliance on Race Relations, and continues his years-long services on it's volunteer Board of Directors. Much of his efforts are focused on policy accountability, particularly the impact of race in policing. Sri-Guggan is an Advocate and Spokesperson in the field of race relations for over 30 years and has served as Vice-Chair of the Ontario Human Rights and Pay Equity Tribunals, was a Commissioner on the Commission on Systemic Racism in the Ontario Criminal Justice System and in the 1980s, he was appointed a member of the Refugee Division, Immigration Refugee Board of Canada Immigration. During his tenure, Sri helped ensure that a 5-per-cent acceptance rate of Tamil refugees eventually grew to more than 75 per cent by 1984, the year after the Colombo massacre. He played a key role in the community response following the arrival in 1986 of 155 Tamil refugees off the coast of Newfoundland. Sri is deeply committed to empowering young people, and supporting them to challenge racism and discrimination. His commitment has been expressed through involvement in the John Brooks Community Foundation and Scholarship Fund, and helping to found and sustain CanTYD – Canadian Tamil Youth Development. In addition to these formal roles, Sri has acted as mentor and invaluable resource to countless racialized young people over the years, from acting as a sounding board for academic and career plans to navigating the criminal justice system. Sri was also the Vice-Chair of the Toronto Refugee Affairs Council and Board Member of the Ontario Council of Agencies Serving Immigrants. He has received numerous awards for his commitment as a long standing advocate in the field of race relations, including the Ontario Government 20 years Volunteer Award in 2000; Ontario NDP J.S Woodworth Award in 2000; and UARR's Dr. Wilson Head Award in 1994, among others. During his service on the OCASI Board, Sri spoke out consistently as the voice of conscience and social justice, embodying the OCASI mission to achieve equality, access and full participation for immigrants and refugees in every aspect of Canadian life.